A VERY RARE OLD SHEFFIELD PLATE SILVER BULLET SHAPED TAEPOT. CIRCA 1785. BY R.SUTCLIFFE & A. SPORLE, SILVERMITHS, SMITHFIELD, LONDON. 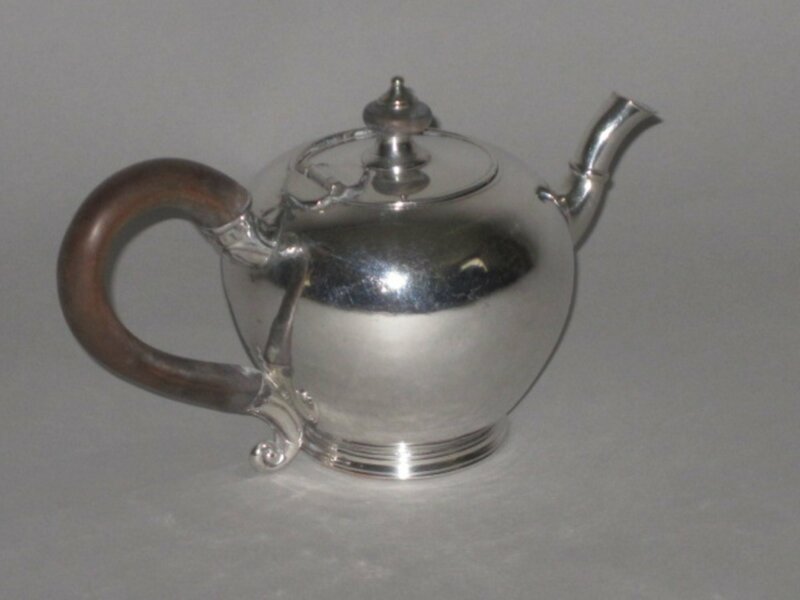 This design is taken from a George II silver pattern, and this teapot is the first that we have found in over thirty years in this form.